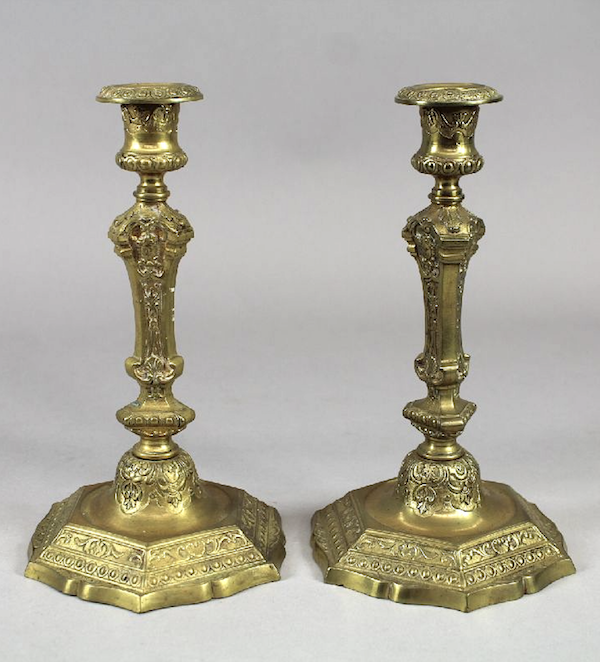 This fine pair of bronze candlesticks only retains its original gilding underneath. At birth, C1865, under the Second Empire, they would have been brilliant gold. They are in the revived Regence style, so in the manner of the 1720s. They stand 23.5 cm tall and are 14 cm wide. The bronze is beautifully detailed and chiselled. Each retains its original bobeche or drip pan.